Home » Listen Up Men! June is For You! You are here: Home / Blog / Listen Up Men! June is For You! Listen Up Men! June is For You! June is Men’s Health Month! I’m sure you’ve seen it at least once on social media over the past 30 days. But what does it mean? Is men’s health any more important than all humans’ health? (No, it’s really not.) However, there are certain aspects to men’s health and wellness that are important to look out for, and are historically often looked past, compared to women. So what is the point of Men’s Health Month? The purpose of this movement is to raise the awareness of preventable health problems and encourage early detection and treatment of disease among men and boys. According to the Men’s Health Month site, males born actually outnumber the amount of females born annually, but by the age of 35 the numbers are reversed. Why is this? Is this because men are more prone to illness and disease? Partly. Men are in fact more susceptible to certain illnesses and diseases than women, but this is not the primary reason they are more likely to die from them. The real culprit is men’s unlikeliness to seek treatment. Men of all ages, races and ethnicities are less likely than women to visit a doctor’s office or receive treatment of any kind for their ailments. This is a direct result of masculine role socialization and social norms of masculinity. According to the American Psychological Association, “Some men may also worry that society will look down on a man who can’t “tough it out” on his own, and that seeking–or even needing–help is not “normal” male behavior.” However, this is not the case. 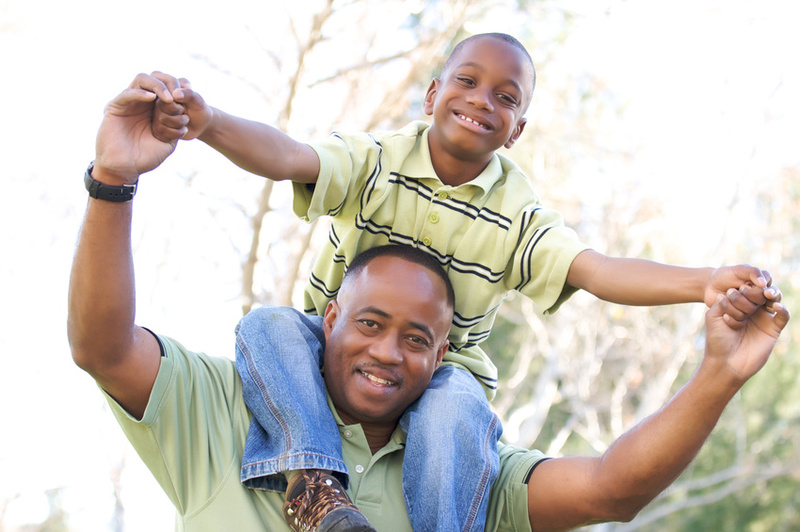 Seeking care for your health, regardless of age, race or gender is extremely important! Another common factor in men refusing to seek treatment for illness is their lack of health insurance or funds to pay for their treatment. AxessPointe can help with this. We accept walk-in visits as well as scheduled appointments, and most major insurances including Medicaid and Medicare. For those without an insurance provider, we offer a sliding-fee scale which is dependent upon household size and income. With the reasons why men don’t go to the doctor being explained, let’s look at how often men should visit the doctor and what they should have checked. Regardless of age, all men should have an annual physical exam. In their 20s, men begin having their cholesterol tested every five years as well as screenings for testicular cancer. Also, depending on the risk levels, men should be screened for skin cancer, STDs, HIV and alcohol abuse. Men should also be checked for diabetes, thyroid disease, liver problems and anemia. By their 30s, screenings for coronary heart disease and vision exams should be added to the list. In their 40s, men should begin having screenings for prostate cancer and diabetes every three years over the age of 45. It’s important to note that prostate cancer is the most common cancer, outside of skin cancer, among men. When men reach their 50s, not only should men have the screenings previously mentioned, but annual checks for Type II diabetes, lipid disorders, electrocardiograms, hearing exams, colon cancer screenings and depression screenings should be included. Electrocardiograms test for heart disease. In their 60s, men should begin having screenings for osteoporosis, dementia and they should talk with their doctor about carotid artery ultrasound screenings. Then by the time men reach their 70s and up, it’s recommended they speak with their doctor to see if they need to continue with colorectal screenings. Generally, colorectal screenings continue to the age of 75. 1. Eat Healthy. Experts recommend starting with small steps such as portion control and remembering to eat a healthy breakfast. A high-protein diet will help keep your appetite satisfied throughout the day. In addition, opt for plenty of low-sugar, high-fiber fruits, non-starchy vegetables and healthy fats. Eat enough fiber! Fiber helps lower cholesterol and blood sugar levels and protects against heart disease, diabetes and obesity. 2. Get Moving. Regular exercise helps maintain a healthy weight and supports cardiovascular health. Other benefits include a better mood, improved sleep and even improved sexual function. Aim for at least 30 minutes a day, five times a week. Also reduce your stress level. Try a few yoga poses, evenly-paced yoga breathing or simply take a few moments each morning to set an intention for the day. 3. Make Prevention a Priority. 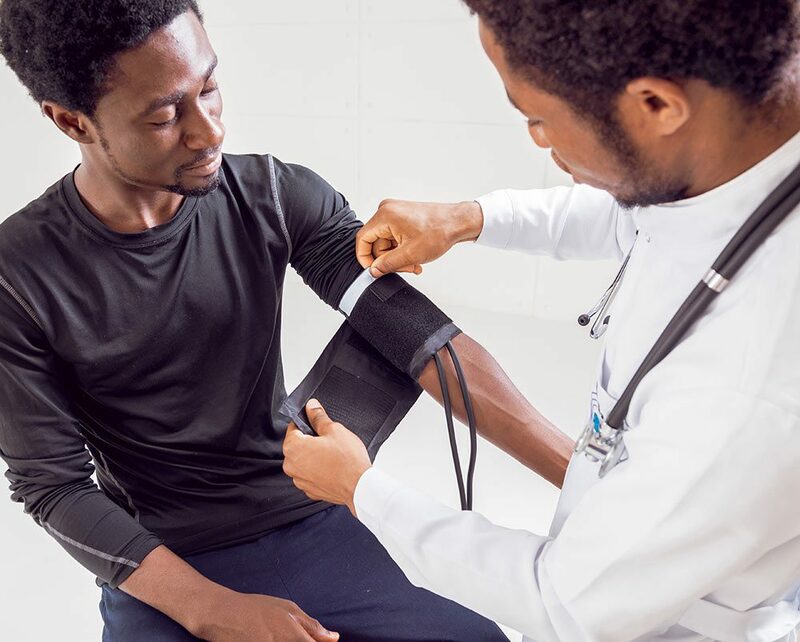 Because many health conditions can be prevented or detected early with routine checkups from a healthcare provider, men are encouraged to get regular screenings for blood pressure, cholesterol, blood sugar, prostate health and more. These three simple steps, when used in combination, can vastly have a difference on any man’s health. To make prevention a priority as mentioned in step three, make an appointment with AxessPointe at one of our five locations including: Arlington, Barberton, Broadway, Kent and Portage Path. Call 888.975.9188 to schedule your annual physical today. https://axesspointe.org/wp-content/uploads/2017/04/logo.png 0 0 AdminAxessPointe https://axesspointe.org/wp-content/uploads/2017/04/logo.png AdminAxessPointe2018-06-29 15:36:322018-06-29 15:51:48Listen Up Men! June is For You! End the Stigma, Mental Health IS Important!